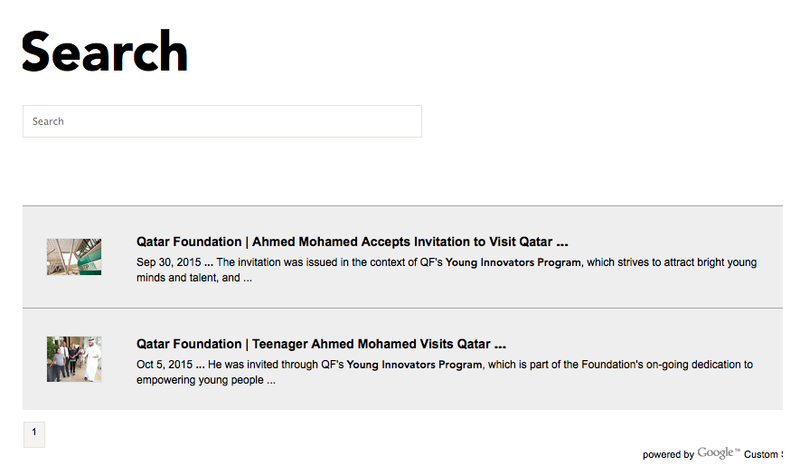 Clock kid Ahmed Mohamed's family is moving to Qatar, apparently. 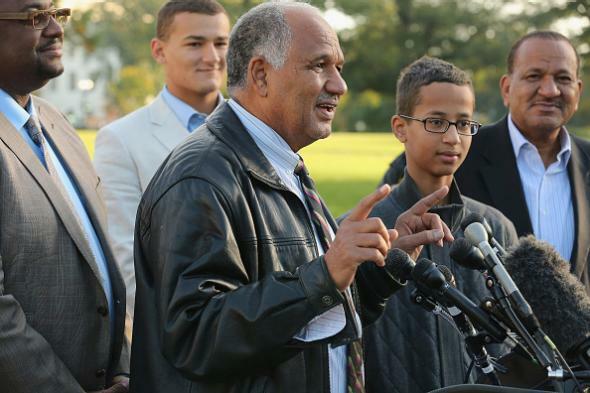 Ahmed Mohamed watches his father speak during a news conference outside the U.S. Capitol on Tuesday. This means that we, as a family, will relocate to Qatar where Ahmed will receive a full scholarship for his secondary and undergraduate education. On Monday, the younger Mohamed was a guest at a White House “astronomy night” at which he briefly met President Obama. Last Wednesday, he and his family met Sudanese strongman and accused war criminal Omar al-Bashir, against whom Mohamed’s father Mohamed Elhassan Mohamed ran for president in two quixotic campaigns. Mohamed’s father also made news in 2011 after appearing as the Koran’s “defense attorney” in the Koran “trial” staged by Florida pastor Terry Jones. Never a dull moment in the Mohamed family!